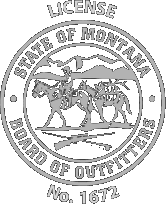 Deposits are non-refundable once hunting license has been drawn. Each case will be handled on an individual basis. 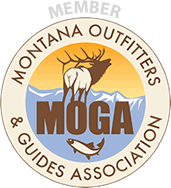 In January of every year, the Montana Fish, Wildlife, and Parks will produce the necessary applications needed to obtain licenses. ?This application is available on-line at fwp.mt.gov. ?I will assist you on filling out the application properly. At any time during your hunt, if an animal is wounded and blood drawn, that is your animal. ?Your remaining time may be spent trying to locate that animal, but you will not be allowed to harvest another animal to replace the one that was wounded. ?This is at the discretion of the guide and/or outfitter. ?This should not be an issue due to the fact that we try to get our clients into the range they feel comfortable with. ?Obviously this not intended as a form of punishment, but more out of respect for the animal and to keep the herds healthy. ?Thank you for your understanding.